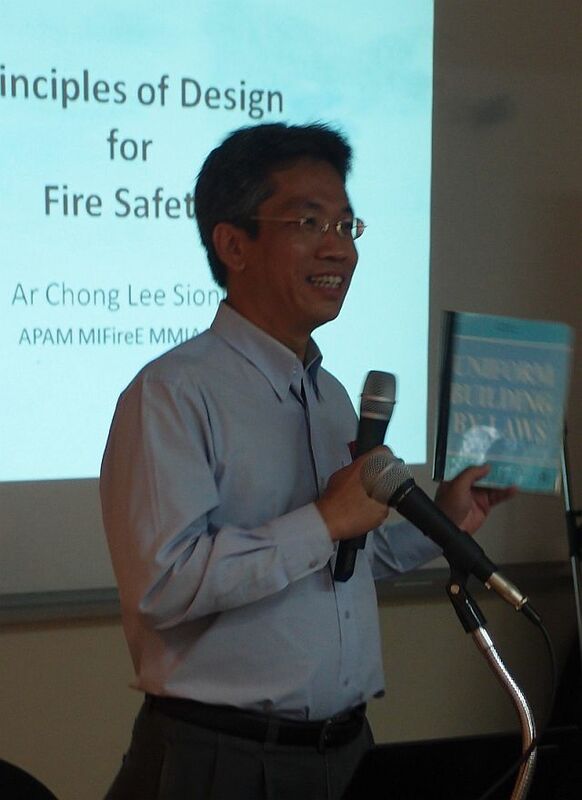 A CPD on the Principles of Designing for Fire Safety: Understanding the Prescriptions of the Uniform Building By-Laws 1984 was organized by the Chapter on 23rd July 2011 at PAM Mini Auditorium. The talk started at 9.30am and was attended by 57 participants comprising of architects and architectural graduates. PAM Sabah Chapter CPD Chairman, Ar. Dr.Tan Jun Kwang welcomed all participants and introduced the speaker, Ar. Chong Lee Siong, MMIArbs, MIFireE for this seminar. The Fire Safety provisions of the Uniform Building By-Laws 1984 is often misconstrued to be restrictive and outdated in its scope, hence limiting architects’ flair and creativity in the realization of our design. However, the basic principles of designing for fire safety and the understanding of the characteristics of fire which is the basis of the formulation of the UBBL is still relevant today. This seminar presented the fundamental concepts of fire safety, interpreting the UBBL and the practical applications of the relevant fire safety codes in Architecture. Ar. Lo Su Yin, Deputy Chairman of PAM Sabah Chapter presented a book gift – Architecture of Sabah: Resorts and Hotels to Ar. Chong Lee Siong. Vote of thanks is accorded to everyone present for making their valuable time to attend this informative seminar.The presentation ended at 1.00pm.